When the Eastwood Field gates open this evening at 6:00 p.m. for Opening Day, the on the field changes will undoubtedly be noticed. Team wise, there is a new manager and new coaches and players. The outfield walls have fresh signs sponsored by area businesses and new banners align the gates. Most of age fans will recognize a popular beer vendor has now made its mark at the ballpark. 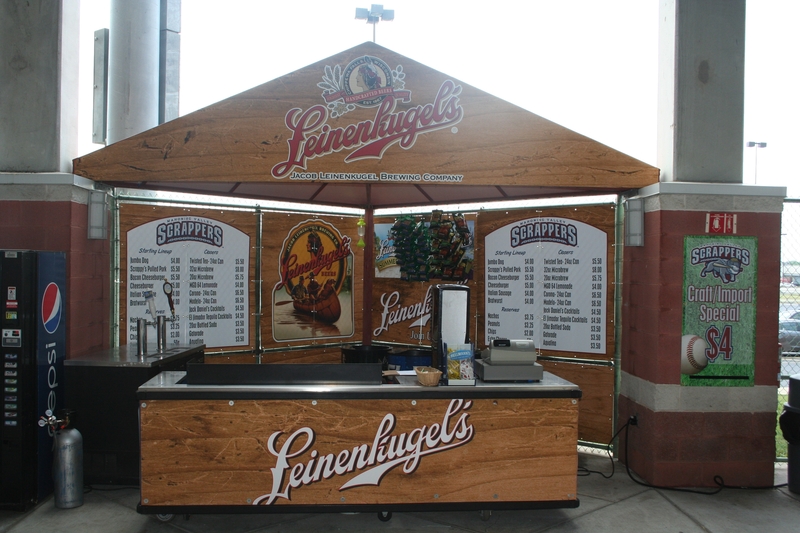 Leinenkugels now has a stand serving its products, as well as other nationally noted craft beers. For $5.75 a fan can purchase a 20 oz Summer Shandy Leinenkugels and for just $8 dollars a 320z can be bought. Along with the specialty Leinenkugels, Blue Moon is also served on tap. Favorites such Corona,Twisted Tea, Miller MGD, Modelo, El Jimador and Jack Daniels Cocktails can also be purchased at the new stand. Fans won’t go hungry here, either. With Italian Sausage and bratwurst hot off the grille, great eats will be cooking all year long. So, whether you’re coming out for the first game against the Jamestown Jammers tonight, or plan on making it out to Niles anytime this summer, pay a visit to Leinenkugels.